We have lots of beautiful things in the March auction e.g. 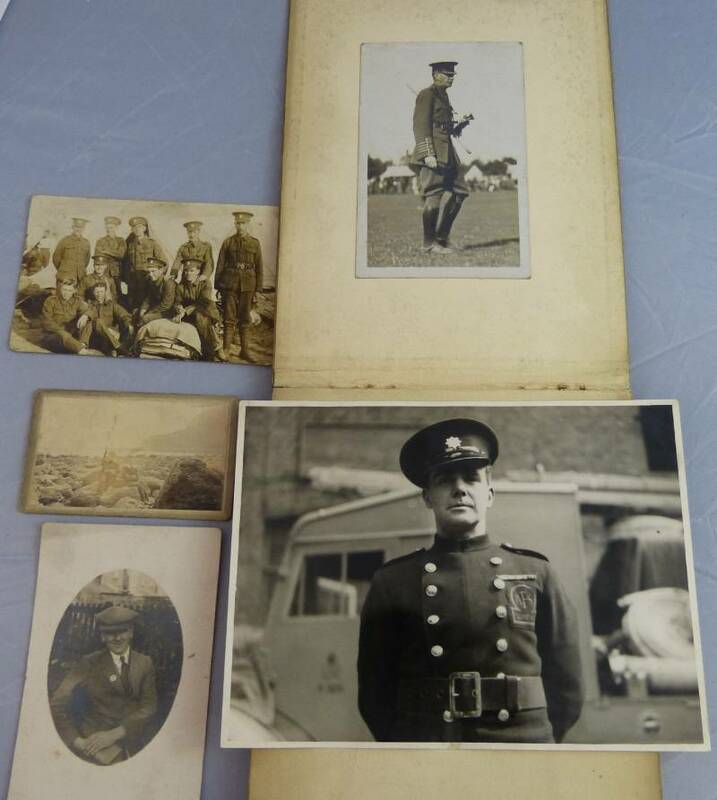 several lots of Victorian gilded ruby glass, a painting by Alfred David Jensen, and some gorgeous rings but we`ve all been moved by the simple diary of a WWI soldier writing in the trenches. His first entry is in the past tense but he begins to record almost daily entries from October 1915 through to 13 December 1917. He speaks of the cold, the shelling, and the boredom of life in the trenches. He also illustrates his entries sometimes showing fire, desolation, and even some Christmas puddings in December. The soldier must have volunteered because since March 1915 was pre-conscription. He was in Le Havre, Rouen, and Ypres. In 1916 he mentions Poperinghe and then Neuve Chapelle. Names mentioned include Austin, Hill, Hillman and Barber. There are photographs included with the diary which could yield more information via examining the buttons and cap badges shown. We are looking forward to seeing that this diary goes to a good home but we will be sorry to see it go.